An Amsterdam court has referred a case brought by UK citizens seeking to retain their rights as EU citizens to the European Court of Justice, the Union's highest legal body, in a move that may provide hope to the near one million British nationals currently residing within EU member states. The case was originally brought before a judge by UK residents in the Netherlands in January 2018. As of 2017 3.7 million citizens of EU member-states other than Britain were resident in the UK, with their future status in the country becoming a major bone of contention between Westminster and Brussels. Relatively less attention has been paid to the status of British nationals living throughout the 27 other member-states of the bloc. And the ECJ steps into the ring… Amsterdam court asks ECJ to rule on the impact of #Brexit on status of British EU-citizens. Could this mean that UK citizens post-#Brexit retain full EU rights, despite article50 deal? Dave Spokes of the Expat Citizen Rights in the European Union (ECREU) told Sputnik the referral was a welcome step but added that neither side in the Brexit divorce negotiations had taken adequate measures to provide reassurance to UK nationals on their post-Brexit status. "This could be a significant moment in our fight to preserve citizens' rights after Brexit. European MEPs and the EU side of the negotiations have always said that our rights should be protected, but both sides have failed to ring fence agreements so far and there is still no agreement regarding freedom of movement, cross border working and a host of related issues. Perhaps this case might help focus the minds of the politicians responsible for our future lives in the EU. 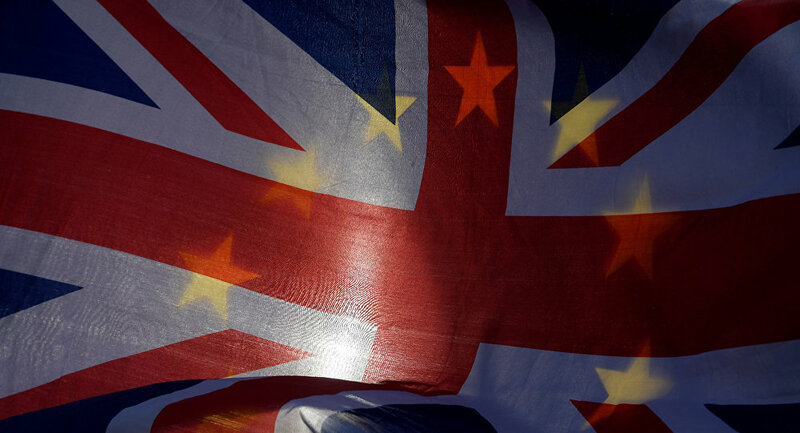 Thousands of UK citizens living in Europe were denied a vote in the referendum. It is regrettable that ordinary citizens have to resort to the courts to protect their future lives from actions over which they have no control or democratic input," Mr. Spokes said. An internal EU memo was leaked February 6 revealing the European Union was prepared to impose sanctions on Britain, ranging from grounding UK-originating flights and imposing arbitrary tariffs if it considered that the UK was not abiding by the terms of the still-to-be negotiated transitional agreement between the two.